Carrera 7 No. 40 - 62 Bogotá D.C. The Pontifical Xavierian University (in Spanish Pontificia Universidad Javeriana) is a private higher education institution founded in 1623. It is one of the oldest, most traditional, and prestigious Colombian universities, directed by the Society of Jesus, with its main facilities in Bogotá and a second campus in Cali. "La Javeriana", as it is known by its students, has traditionally educated the Colombian elite. It is one of the 33 universities entrusted to the Society of Jesus in Latin America and one of 167 around the world. The Javeriana University in Bogotá has 18 schools comprising 61 departments and 181 academic programs catering to areas of knowledge, giving the university its multidisciplinary nature. It has 45 buildings in 445 acres (1.80 km2). The Javeriana University in Cali offers 18 schools in four faculties. It is located in Pance, Cali. Its Law School recently received a high quality accreditation by Resolution 6808 6 August 2010, of the Ministry of National Education. The campus in Cali has sectional divisions of the Bolsa de Valores de Colombia (BVC), Temple University's Fox School of Business, and others. The University is one of the twelve universities in Colombia having a high quality institutional accreditation, granted to it for eight years by Resolution 1320, 12 June 2003, of the Ministry of National Education. The university has 21 undergraduate programs with high quality accreditation, and eight programs in advanced stages of the accreditation process. In graduate programs, quality is acknowledged through the Qualified Registries. The university has 87 graduate programs with Qualified Registries and has presented another 29 to these processes. In the Times Higher Education World University Rankings Javeriana is ranked in the 501 to 600 range worldwide. The College of the Society of Jesus was established in Santafé de Bogotá in 1604 as part of the San Bartolome School and Cloister. In 1623, the Audience and the Archbishop recognized the academic degrees conferred by the college. The students at that time received their degree, including Pedro Claver. That is the origin of what was known as the University and Academy of Saint Francis Xavier. In 1767, the Jesuits were expelled from the Spanish colonies, which closed the first stage of Universidad Javeriana's history. Then 163 years after the university closed, an act of restoration was signed. In 1937 the School of Economics and Legal Sciences was founded, with the others following. In 1970, after multiple petitions from the community of Cali, the university started a programme in that city. The Universidad Javeriana in Cali took the name of "Cali Branch", offering degrees in business, engineering, and psychology. The university offers 40 undergraduate programs, 69 professional specializations, 45 medical and surgical specializations, 8 dentistry specializations, 22 masters, and 8 PhDs. School of Economics and Management Sciences: management, accounting, economy. The University has 61 departments and 14 institutes. Departments are academic units aimed at developing an area of knowledge through research, teaching, and the implementation of services such as continuing education, counseling, and advisory activities. Institutes are academic units responsible for research and consulting in areas requiring a special interdisciplinary approach. To provide technological support to research, education, service and administrative processes, the University has next-generation network services. Mention can be made of the technological components available in the following units: The SIU (University Information System, acronym in Spanish) with its "People Soft" platform for Academic Management; the New Technologies-Aided Education Center (CEANTIC) that offers virtual courses support through its Blackboard platform; the Centro Audiovisual Javeriano, with front edge technology in this field in Latin America, internationally accredited like Autodesk Training Center-ATC; the Computer-Aided Architecture and Design Project, CAAD; the Technological Industrial Automation Center; the Geo-referenced Information Center, GIC; the Javeriana Center of Oncology; the San Ignacio University Hospital; and the Magnetic Resonance Imaging Center. It also has 130 laboratories and workshops. La Javeriana is among the leading universities researching the Muisca people and culture. 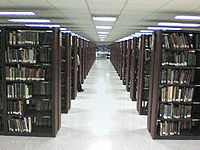 The Xavierian University has two libraries: the General Library and the Mario Valenzuela, S.J., Library. The latter library specializes in philosophy and theology, and is rated as the best in these disciplines in Latin America. It has seven document and resource centers in the following fields of knowledge: bio-ethics, political science, architecture, law, insurance, social communication, and clinical epidemiology. The library stock numbers 418,008 titles among books, magazines, journals, thesis and dissertation papers, music scores, maps, VHS and DVD film recordings, slides, sound videos, and sound recordings. The system has about 90 subscriptions to databases and has access to complete text contents for online consultation of journals, books, thesis and dissertation papers, and digital format slides. It offers services such as the drafting of bibliographic references on specialized subjects and bibliographic exchange allowing data gathering that includes journal articles and other documents from libraries in Colombia and around the world. It serves the Javeriana community throughout a 24-hour schedule, Monday through Friday. Great Chancellor: Adolfo Nicolás, S.J. Vice-Great Chancellor: Carlos Eduardo Correa Jaramillo, S.J. University President: Jorge Humberto Pelaez Piedrahita, S.J. Academic Vice-president: Luis David Prieto Martínez, S.J. University Welfare Vice-president: Luis Alfonso Castellanos Ramírez, S.J. Interinstitutional Relations Vice-president: Luis Fernando Álvarez Londoño, S.J. Campus overview, Pontificia Universidad Javeriana Cali. On 6 October 1970, responding to requests from the local community and the efforts of a group of practicing accountants who aspired to obtain the university degree, a Program of Public Accounting began in Cali. This was the origin of the Cali branch of the Javeriana University. On 20 November 1978 the board proposed the name Cali Branch, with headquarters in the capital under the same organization and higher authorities. The board of regents, at the request of the board, adopted the name Cali Branch. Today, this branch is one of the most prestigious universities in Cali. The campus of the Pontificia Universidad Javeriana Cali is located in the south of the city, in Pance, at the foot of the Farallones de Cali, part of the Cordillera Central, Andes, in a totally rural environment where vegetation and fauna abound. The campus consists of eight buildings (Las Palmas, Guayacanes, classrooms block, administration, Saman, Almendros, continuing education, and the recently opened Las Acacias). Two more buildings are being built on campus, which features five cafés, the Javeriana Shop, a large parking lot surrounding the entire campus, a branch of Corpbanca, a center of the Colombia Stock Exchange, and an MBA extension of Temple University Fox School of Business and Management. The campus also includes Alfonso Borrero Cabal auditorium; Central Library, one of the most complete in the Colombian Southwest; Loyola Sports Center; the office of entrepreneurship "Campus Nova", which fosters entrepreneurial talent within the university; and the Javeriano Writing Center, highly regarded for helping students develop writing skills. The university has 35 research groups attached to the government Administrative Department of Science, Technology and Innovation; and a station, Javeriana Stereo FM 107.5 with a wide audience in the Colombian Southwest. It offers students opportunities in more than 87 countries and boasts 120 academic cooperation agreements with universities abroad. Currently, the Pontificia Universidad Javeriana Cali offers 19 undergraduate programs of which eight have received quality accreditation by the Ministry of Education (Civil Engineering, Electronics Engineering, Industrial Engineering, Systems Engineering and Computer Science, Business Administration, Accounting law and Psychology). The law degree from the Pontificia Universidad Javeriana Cali is prestigious in Cali and the Colombian Suroccidente, profiting from one of the most complete moot courts for student practice. The Cali branch of the Faculty of Health Sciences inaugurated the Moot Hospital which has high-tech teams and a superior infrastructure for student interns. In March 2012, the Pontificia Universidad Javeriana Cali received the Institutional Accreditation of High Quality from the Ministry of Education for eight years, placing it among the more competitive private universities in the country. Javeriana's alumni include a vast range of prominent individuals in the history of the country and the region, with the following list representative. Catalina Robayo, Miss Colombia 2010, placed Top 16 at Miss Universe 2011. Kristina Lilley, American born-Colombian actress (She studied Biology before she became an actress). Miguel Gómez (photographer) (born 1974), Colombian / American photographer, worked in the Fine Arts department for several years. Carlos Serrano (born 1963), Colombian classical musician, worked for the music school. ^ "Home | Pontificia Universidad Javeriana". www.javeriana.edu.co (in Spanish). Retrieved 17 October 2017. ^ "TOP CAREER STUDY ABROAD | Pontifical Xavierian University". study.topcareer.jp. Retrieved 17 October 2017. ^ "Pontifical Javeriana University". Times Higher Education (THE). Retrieved 17 October 2017. 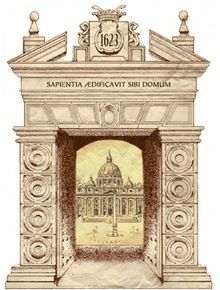 ^ "CATHOLIC ENCYCLOPEDIA: The Suppression of the Jesuits (1770-1773)". www.newadvent.org. Retrieved 17 October 2017. ^ "Carrera: Artes Visuales | Pontificia Universidad Javeriana". puj-portal.javeriana.edu.co (in Spanish). Retrieved 17 October 2017. ^ Marroquin, Omayra Parra de; Corredor, Lina Clarizia (1 January 2002). "Open University Center of the Pontifical Javeriana University, Colombia". The International Review of Research in Open and Distributed Learning. 2 (2). ISSN 1492-3831. ^ "Colombia: Pontificia Universidad Javeriana". American University. Retrieved 17 October 2017. ^ "Pontificia Universidad Javeriana". ResearchGate. Retrieved 17 October 2017. ^ Langebaek Rueda, Carl Henrik. 2005a. La élite no siempre piensa lo mismo - The elite does not always think the same, 180–199. Universidad La Javeriana. ^ Correa, François. 2005. El imperio muisca: invención de la historia y colonialidad del poder - The Muisca empire: invention of history and power colonialisation, 201-226. Universidad La Javeriana. ^ Trimborn, Hermann. 2005. La organización del poder público en las culturas soberanas de los chibchas - The public power organisation in the common cultures of the Chibchas, 298-314. Universidad La Javeriana. ^ Gómez Londoño, Ana María. 2005. Muiscas: representaciones, cartografías y etnopolíticas de la memoria - Muisca: representations, cartographies and ethnopolicies of memory, 1-369. Pontificia Universidad Javeriana. Accessed 2016-07-08. ^ Guarín Martínez, Óscar. 2005. De bárbaros a civilizados: la invención de los muiscas en el siglo XIX - From brutals to civilised: the invention of the Muisca in the 19th century, 228–246. Universidad La Javeriana. ^ "Sistema de Bibliotecas Javeriano - SIBJA | Pontificia Universidad Javeriana | Pontificia Universidad Javeriana". www.javeriana.edu.co (in Spanish). Retrieved 17 October 2017. 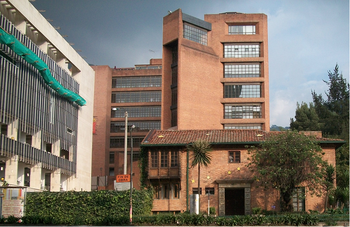 Wikimedia Commons has media related to Universidad Javeriana.